Hello everyone, I'm new to this community and thought it would be a great place to post my 2d game for some art critique. 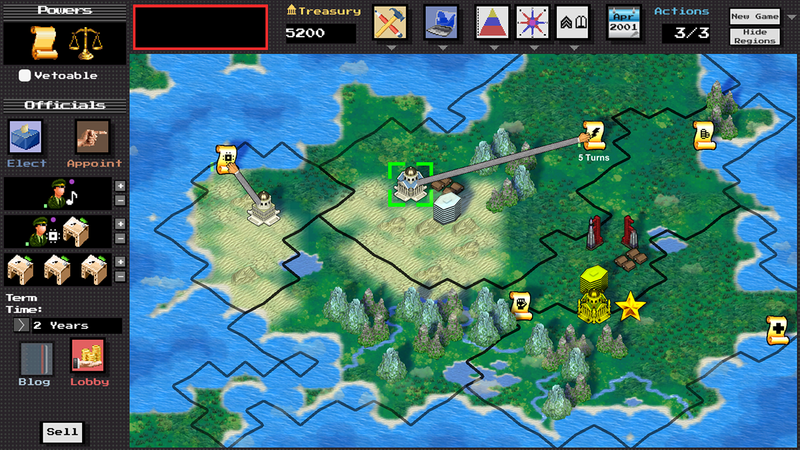 Structure of Reign is a turn-based government sandbox strategy game in which the player design's their own government and tries to have it last as long as possible. Design and build a government to run a country and solve issues that bubble up from the populace. The populace and foreign countries react to actions and decisions by praising and allying or revolting and attacking the government. Design styles can be anywhere between totalitarian/democratic, secretive/transparent, conservative/liberal, big government/libertarian etc. 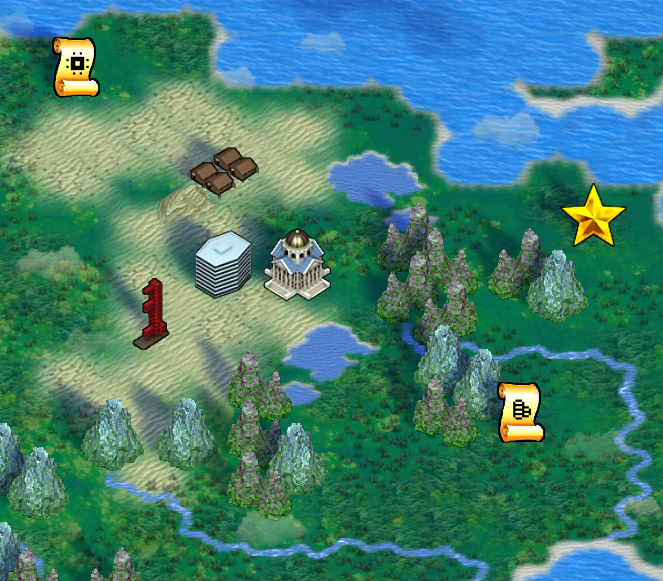 The closest comparisons to gameplay are along the lines of the Civilization, Sim City, and Democracy series. The landscapes are procedurally generated and there is a day to night cycle with shadows that change direction as the sun turns. In the future Im planning on having the environment change throughout different seasons in the year. Also I want to have the buildings and the environment change based on how democratic/totalitarian the government is and what the government's environmental policy is. I have worked on this game for some years by myself. The game is generally playable but needs more content and a tutorial. There are plenty of abilities and features which are not finished yet. 90%+ of the art you see is original art done by me and a little bit of it is licensed images that I've modified to fit my game's style. My most recent progress has been replacing all the placeholder art with closer to final art for the game. 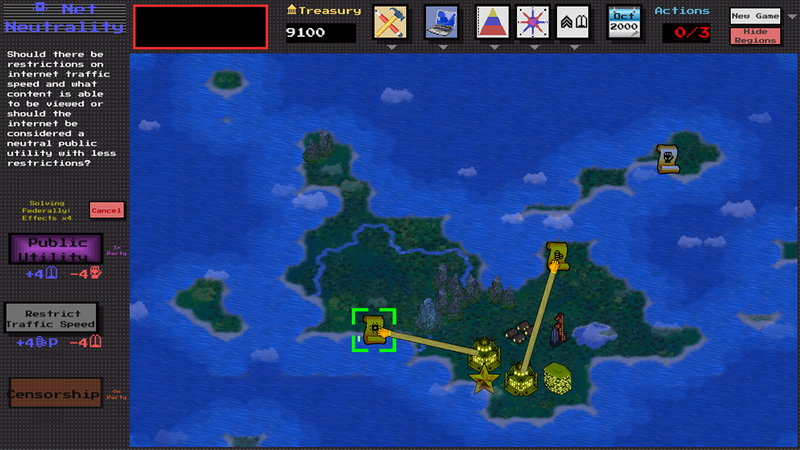 Most everything will get more polished in the future but for now it is good enough to illustrate the game.